She's Fantastic: Marvel Legends - SILVER SABLE! 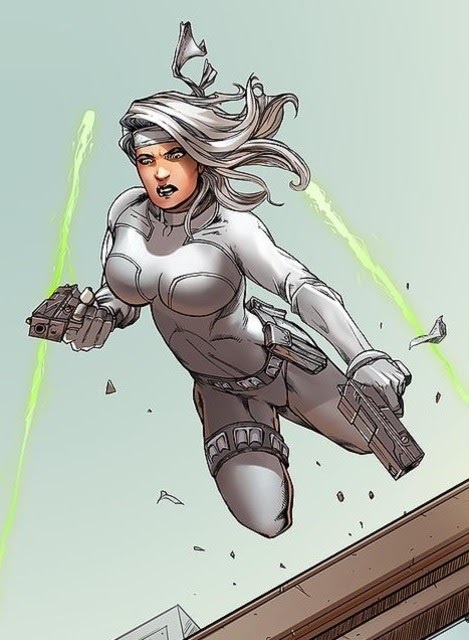 Marvel Legends - SILVER SABLE! Before I saw The Dark Knight, I never liked the Joker. Before I read her 2000 comic series, I never liked Harley Quinn. 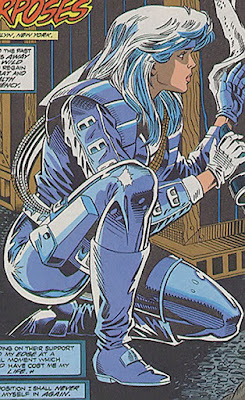 And similarly, I never really cared for Silver Sable until I got my hands on this gorgeous toy. I never had anything against the character per-say. In fact, I fondly remember reading her 1992 solo series. 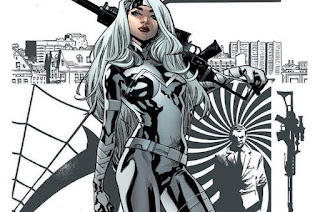 But in the wide spectrum of awesome female comic characters, I tend to lean toward the outlandish costumes, with tights and capes, rather than militant types with guns and headbands. 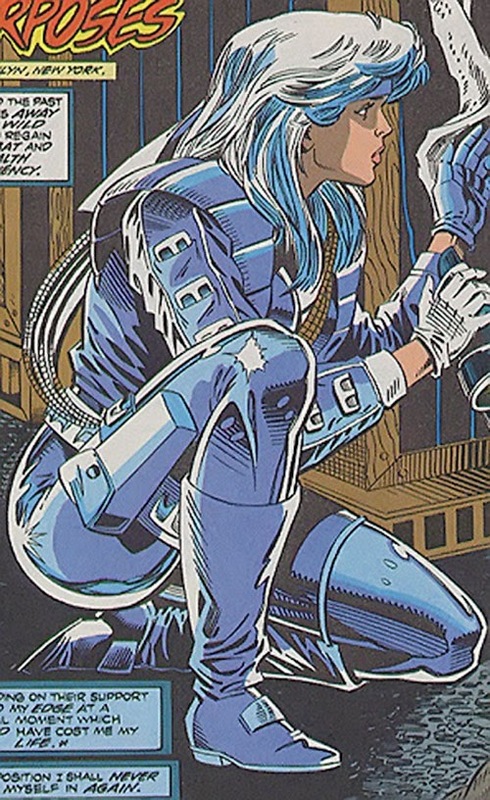 Silver Sable's saving grace is in her namesake color and thematically consistent costume. So she's always been on my radar, but I never elevated her to my typical obsessive levels. However, when I found this new Marvel Legends figure in Target last week, I was genuinely intrigued like never before. Now I'm finding myself googling this morally dubious bounty hunter and wanting to read all her backstories. (And I expect her movie to further lead me down this rabbit hole). 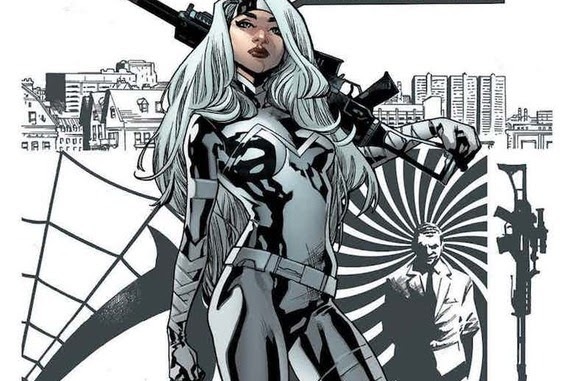 Let's check out Silver Sable below! I really do love this figure. The two-tone silver is stunning and her face sculpt is fierce. The only thing I am not happy about is these same old legs that I've spent hours boiling and un-warping on countless figures over the years (Dagger, Elektra, Black Widow, Jewel, Invisible Woman, etc, etc.) These pics are post-boil. Silver Sable comes with two guns. She also comes with the Left Arm build-a-figure piece for Kingpin. A kind of amusing flaw of this figure is that her thigh holsters constantly drop to her ankles. I would find it annoying if it didn't remind me of someone's pants falling down and make me giggle. Here she is with her wave-mate, Black Cat. Awesome figure. She's the only one I managed to find from the Kingpin Series so far. U totally confirmed whta I thought of this figure- that she's using that old lanky buck. Gr8 work again- I really want this wave with it's 90s Spidey supportive cast .